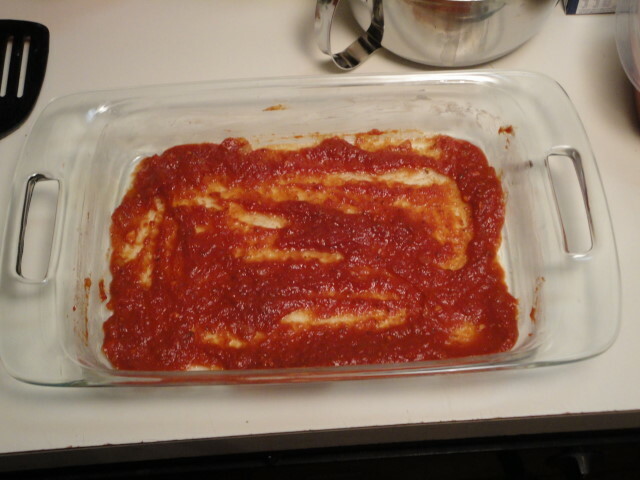 I’ve covered making fresh pasta and marinara sauce, and lasagna is a great example of pairing them together. 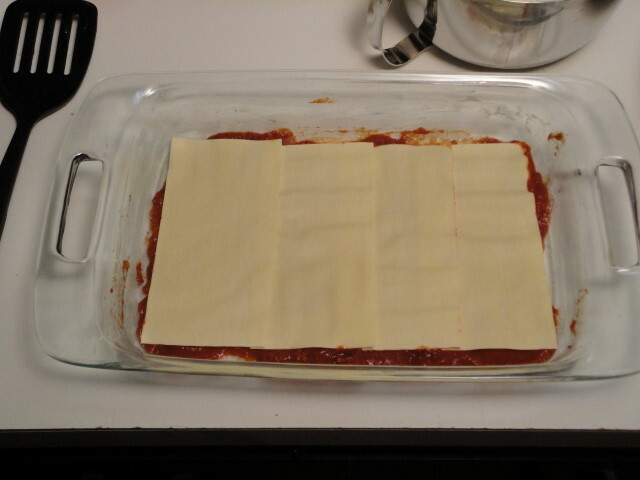 Pasta for lasagna is probably the easiest to make since you just slice the dough into long sheets or squares. 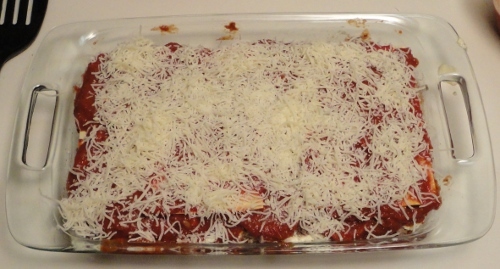 Marinara sauce marries with cheese to make the glue that holds lasagna together. 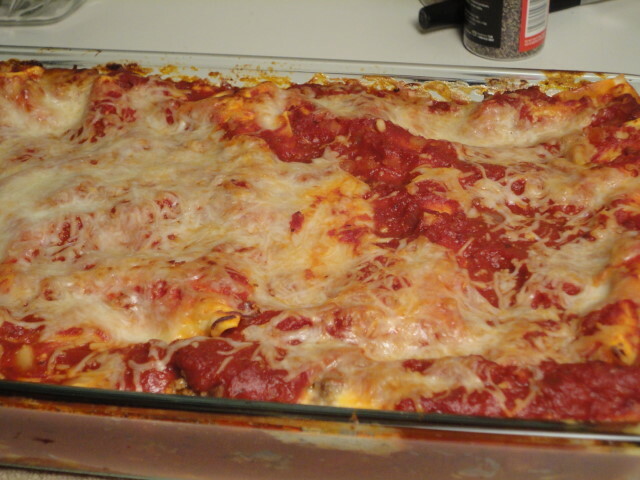 There are many different recipes for lasagna that include all manner of ingredients, but this one is a simple meat lasagna. 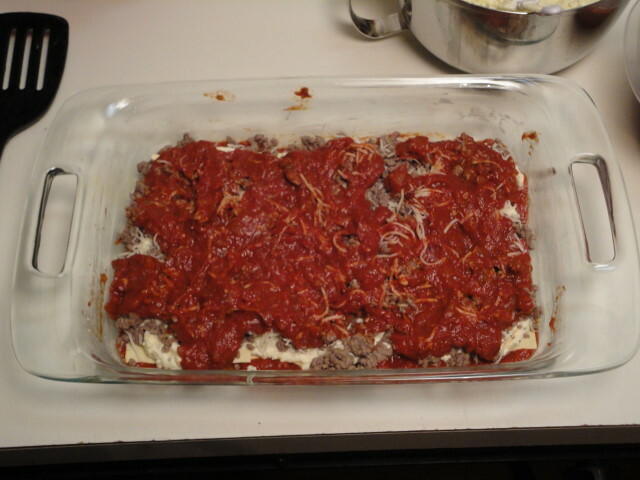 The main ingredients are simply pasta, cheese, marinara, and ground beef. These amounts are mostly approximations. Depending on the size and shape of your pan you may need more or less. I used a rather shallow glass 13×9 inch baking dish. 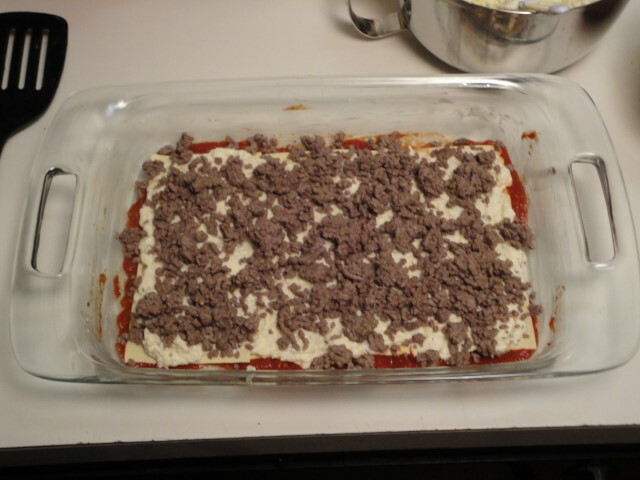 This was the first time I used, and I didn’t realize that the sides were so sloped. Live and learn! 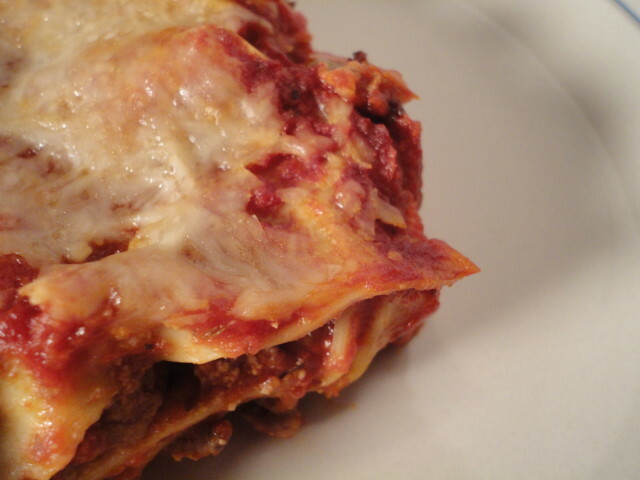 Let’s talk about lasagna noodles. You can use fresh, no-boil, or dried. If you’re using fresh or no-boil, you just use them without cooking them first. When it comes to dried, there are two camps: the Cookers and the No-cookers. If you cook them, just take them out of the pot before they’re all the way cooked. If you don’t cook them first, just be sure to add a little extra sauce and cover them well. This will be easier if you have a really deep pan. The dried pasta package will have better directions for cooking them. First, preheat your oven to 375°. Now, let’s get that ground beef browned. You could also use any kind of sausage in this recipe, if you wanted. Just remove the casing and brown it the same way. While that’s happening, you can spray the pan with cooking spray or coat it in whatever oil or butter you like. When it’s time to clean that thing, you’ll definitely thank me. When the beef is browned, drain it and set it aside. 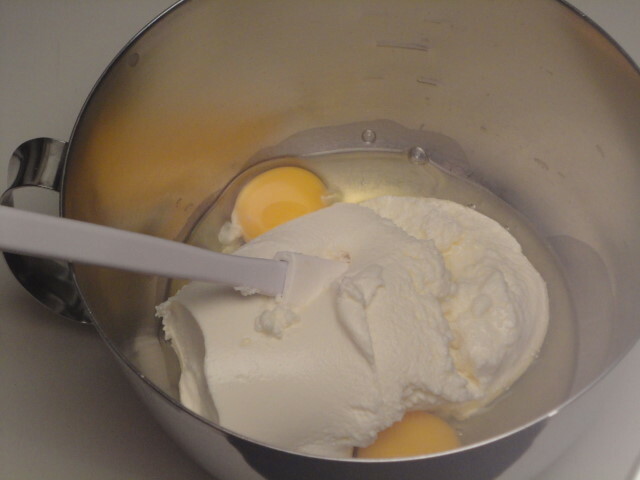 Next take a bowl and put your ricotta and eggs into it and mix them together well. 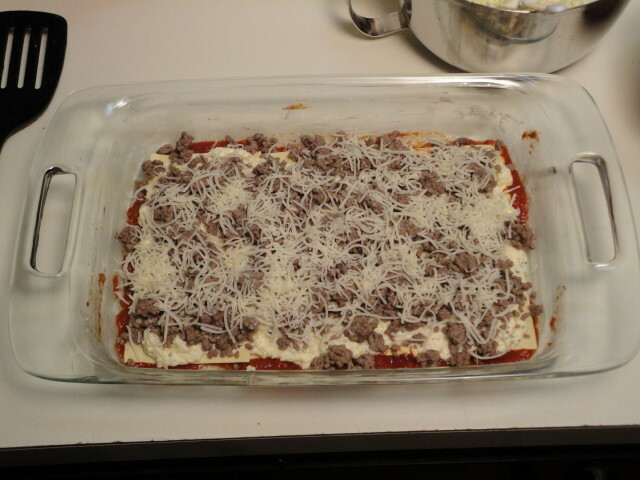 Then add half of the mozzarella and all of the grated parmesan. 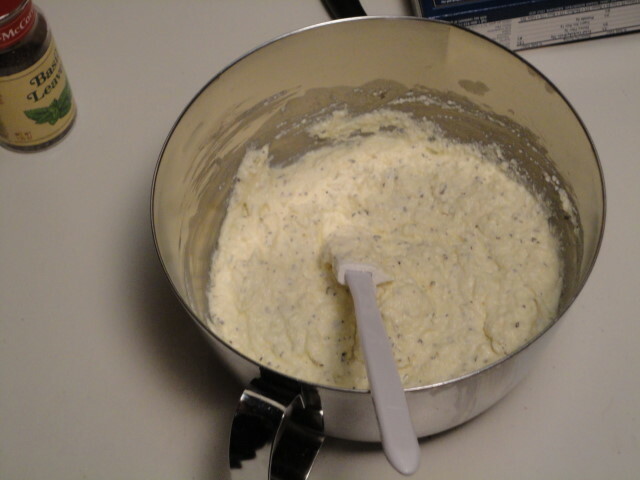 At this point I also added some herbs–oregano, basil, garlic powder, and black pepper. 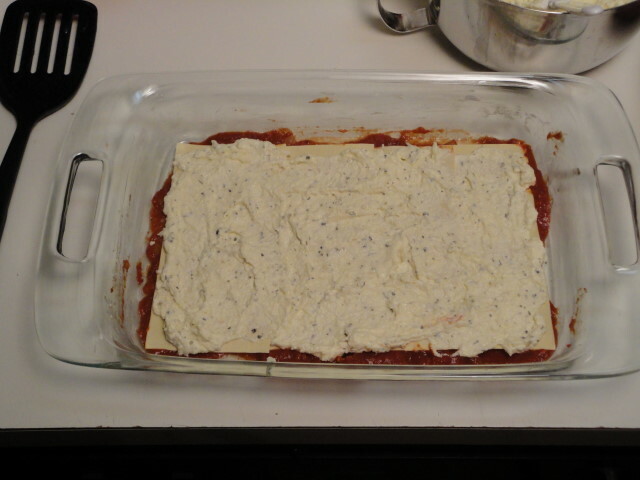 Adding herbs to the cheese is not necessary, since the sauce really supplies the flavor, but I like to add it. 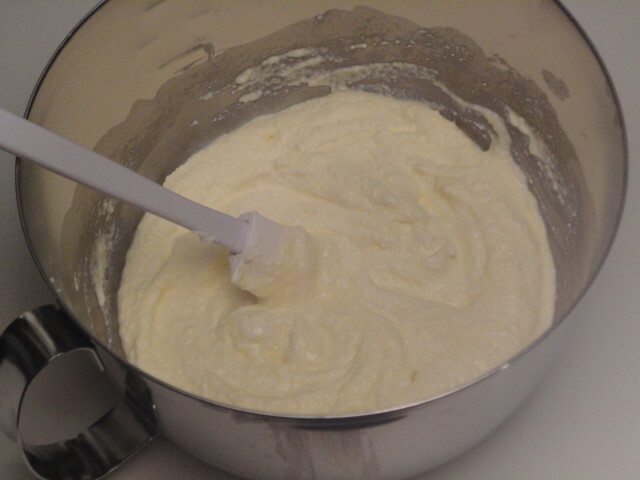 I only added about a tablespoon of each. Mix it up well and set it aside. Next Post A Belated Happy Homemade Bread Day!